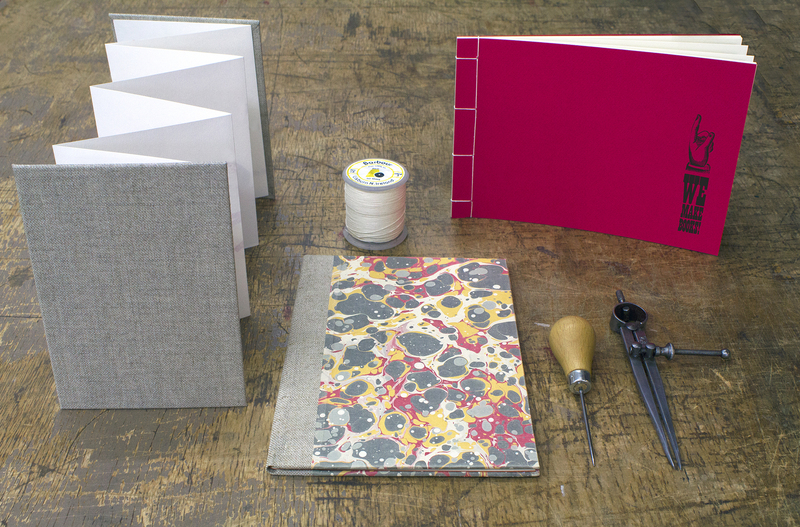 Introduction to Bookbinding **September Workshop** – WE MAKE BOOKS! Join us for this exciting workshop and learn how to make three different book structures: a concertina book, a 4-hole stab binding and a single section case binding. You will learn about basic bookbinding techniques, including folding, making endpapers, sewing, covering and casing in. We will go through all the different tools and materials we will be using as well as the importance of grain direction. At the end of the class you will leave with three beautiful books and a handout with instructions to enable you to work on your own projects at home! This workshop is suitable for complete beginners or for those who need a refresher. Tutors: Lina Avramidou and Manuel Mazzotti.